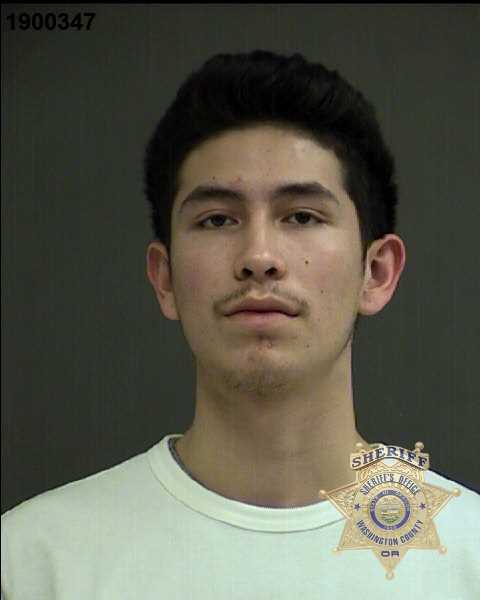 An 18-year-old Tigard man has been charged with second-degree manslaughter following a traffic accident that left a woman dead just outside of Sherwood Saturday afternoon. The Washington County Sheriff's Office reported receiving a call of a crash in the 19100 block of Pacific Highway at 3:45 p.m. involving a 2003 Mitsubishi Lancer whose driver exited the parking lot of a business and turned south onto SW Pacific Highway. The driver then quickly moved from the right lane into the left lane, into the path of a 2005 Ford F350 truck that was also traveling south, according to officials. The impact between the vehicles sent the truck into the median, where it rolled several times. While the driver of the truck didn't receive any life-threatening injuries, his passenger, Lorraine Wheeler, 47, of Tigard, died. The driver of the Mitsubishi, Roger J. Bayard, also of Tigard, was arrested. In addition to the manslaughter charge, Bayard was also charged with driving under the influence of intoxicants, reckless driving, reckless endangering, fourth-degree assault and second-degree criminal mischief. He was expected to be booked into the Washington County Jail later Saturday evening. The Washington County Crash Analysis Reconstruction Team, also known as CART, responded to the scene and is leading the investigation. The southbound lanes of Pacific Highway were closed for several hours for this investigation. Deputies were assisted at the scene by Tualatin Valley Fire & Rescue, Tigard Police Department, Sherwood Police Department, Hillsboro Police Department, Oregon Department of Transportation and the Washington County Medical Examiner's Office.